18 Success Affirmations To Condition You To Success. Success affirmations help condition your mind for success. They help you get ready for success. An unprepared mind cannot entertain success. As the saying goes, “The teacher appears when the student is ready.” Similarly, success appears when you are ready. And affirmations do exactly that. Prepare you for success. Some say success is the reaching of your goal. Others say success is getting what you want. Still others say success is a journey, not a destination. 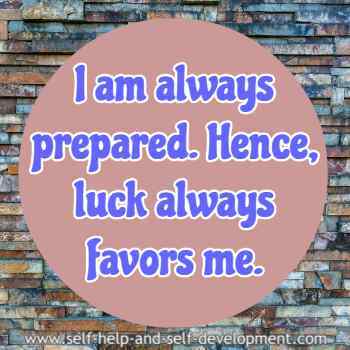 These affirmations will constantly remind you of your objective and its achievement. It hammers your aim into your subconscious, ultimately forcing your subconscious to achieve success. Success comes only to those who have a success mentality. That is why you will see that some people are successful in anything and everything that they do while some people rarely find success. Success affirmations will help you develop a success mentality. 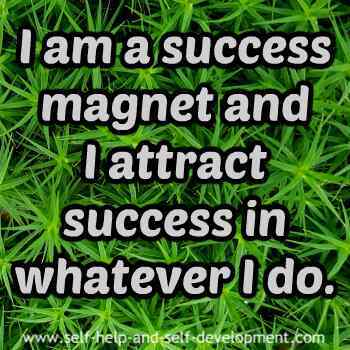 I attract success in whatever I do. of being. I think only of success. become successful. 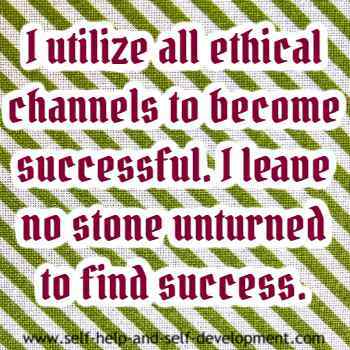 I leave no stone unturned to find success. 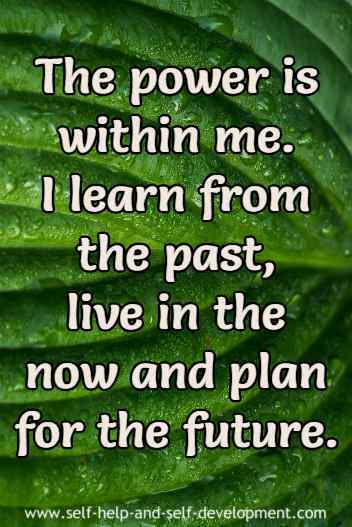 I am in charge of my life. 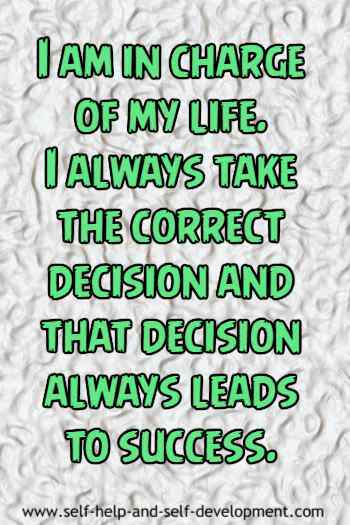 I always take the correct decision and that decision always leads to success. I focus only on success. 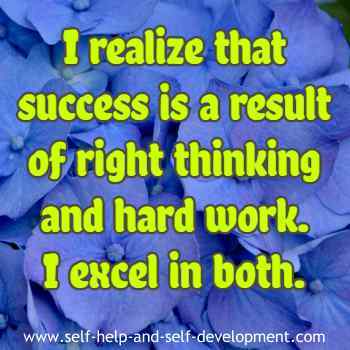 I realize that success is a result of right thinking and hard work. Hence, luck always favors me. 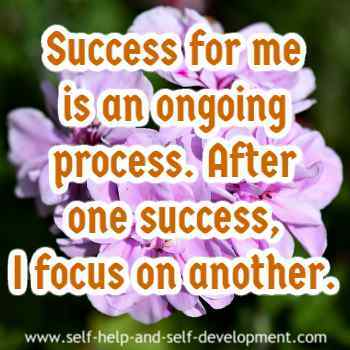 Success for me is an ongoing process. After one success, I focus on another. 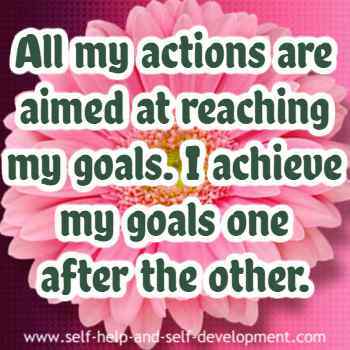 I am a man/woman of action and a man/woman of vision. Naturally, success is the only outcome of whatever I do. Success is my birth right and I will achieve it. Thought, determination and action always results in success. 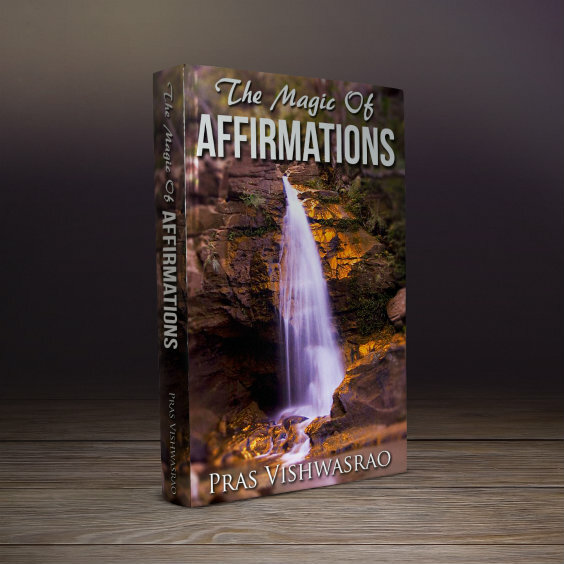 Another way of using success affirmations is through hypnosis CDs or MP3 downloads. As you are aware, hypnosis is a powerful way of influencing the subconscious. If, in addition to affirmations, you also listen to hypnosis CDs or MP3, once in the morning and once at night before sleeping, it will do wonders to your progress. 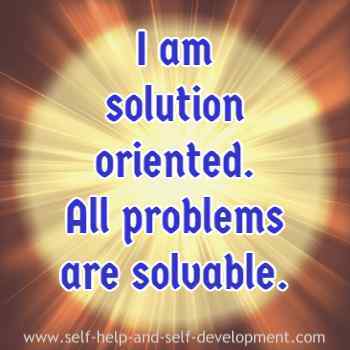 are an excellent help to develop a success mentality.